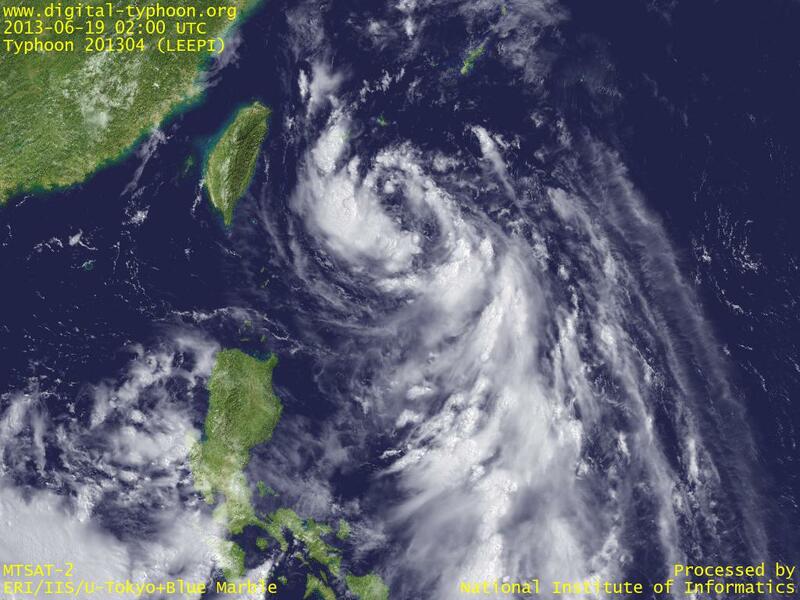 Typhoon LEEPI keeps moving north, and Sakishima Islands are entering the circle of gust winds. It is forecast to keep moving north, and traverse Okinawa Prefectore from south to north. However, as the image shows, clouds of the typhoon is still scattered and not well organized without showing the sign of intensification. If this is the case, we need to be careful more about heavy rains than strong winds. 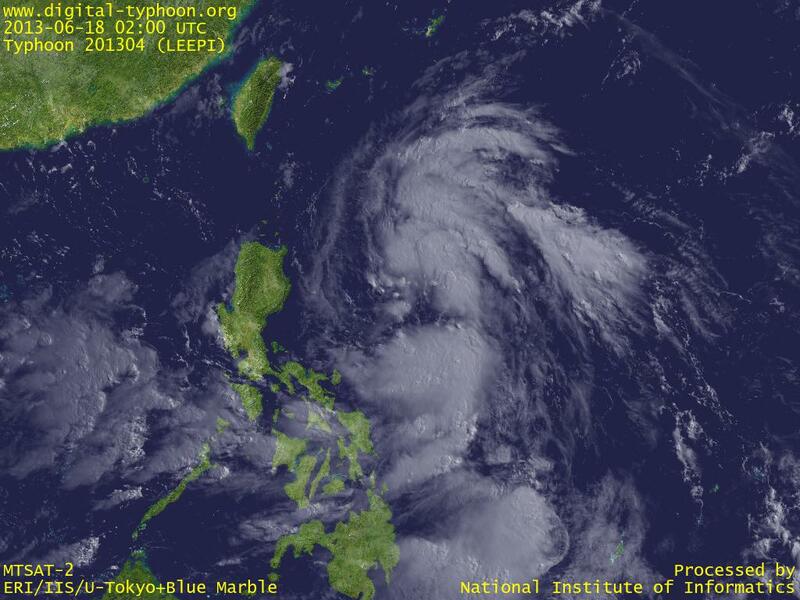 Typhoon LEEPI was formed in east of Philippines. It is forecast to move toward Okinawa Islands, but the intensification is expected to be moderate.